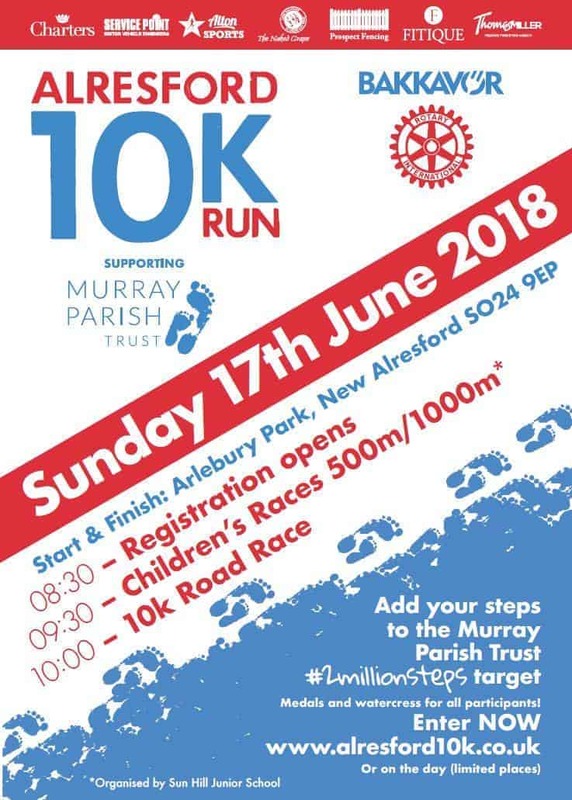 The Alresford 10k is back for 2018 and is supporting The Murray Parish Trust’s #2MillionSteps appeal. 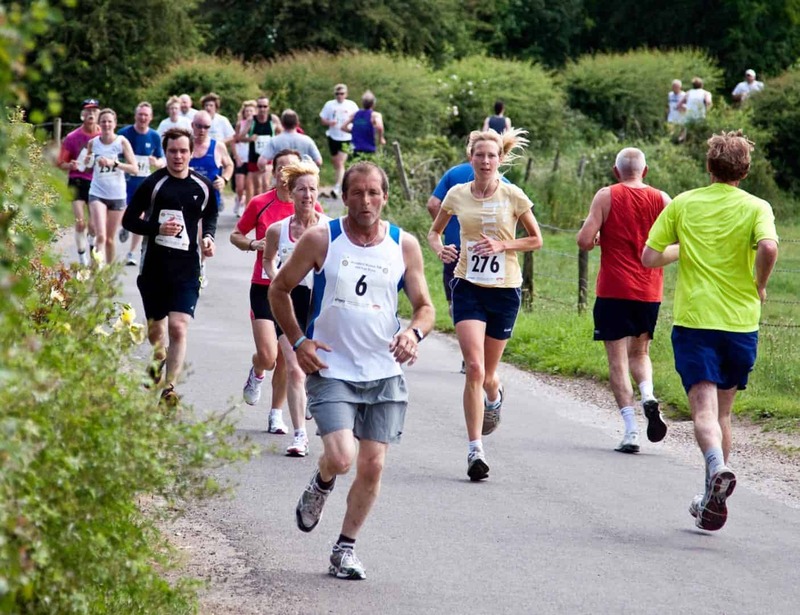 On Sunday 17th June, the 10k race, organised by the Rotary Club of Alresford starts and finishes in Arlebury Park, taking in the picturesque village, the famous watercress beds and the Avenue. For 2018, all proceeds from the event are to be donated to The Murray Parish Trust. 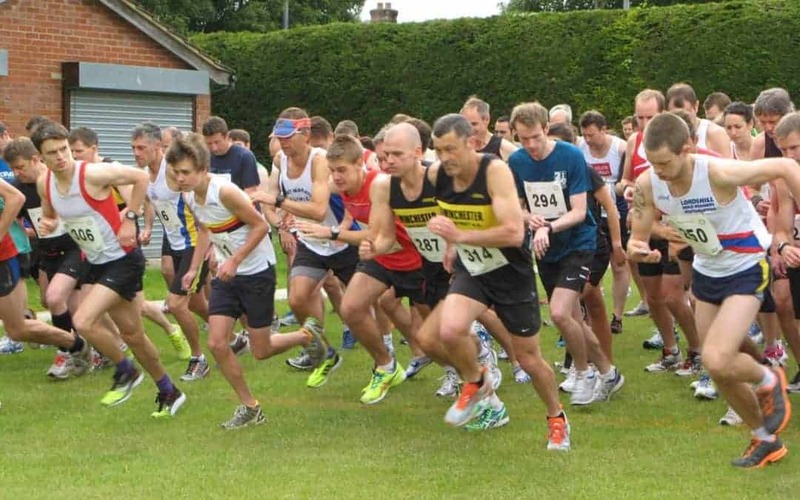 Prices before 15 June are: £15 for UK Athletics affiliated runners. £17 for non-affiliated runners. In addition to the 10k race they are staging shorter runs for children and a fun run for both adults and children. 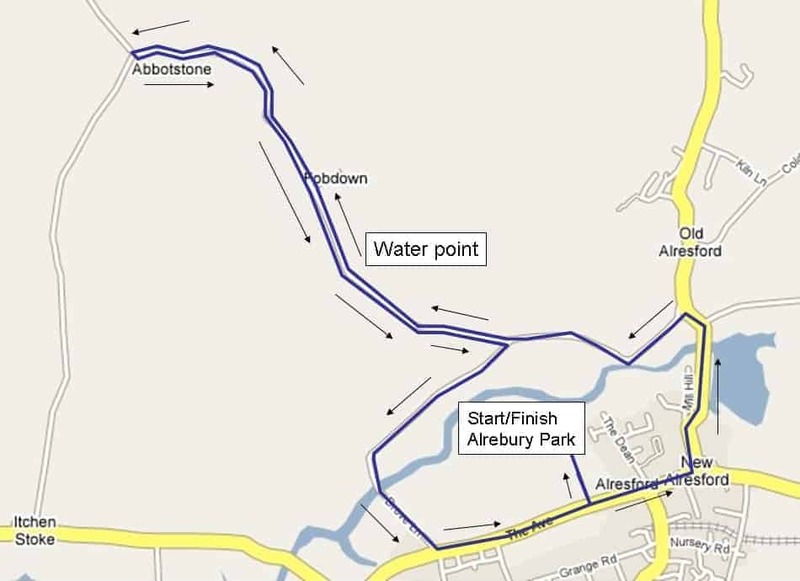 The fun run will follow part of the route for the main 10k but will skip the out and back loop to Abbotstone. Making the distance about 4.5k. There will be two Children’s Races. A 500m dash for ages up to 7 years and a 1000m run for ages 7 to 11 years. Entries for these runs are being coordinated through Sun Hill Junior School and other local schools. Supporters of The Murray Parish Trust, Lorem Ltd will be there too, handing out samples of their sports relief products to the runners after the race! Amiri Construction collects huge ‘nest’ of Easter Eggs for charity event!